This Pavilion is experienced as a series of public programs located beneath a floating roof or as the architect describes as a cloud hovering over a "land of hope". The roof form is derived by merging the profile of a city skyline on the building's north side with the profile of a landscape on the south side. 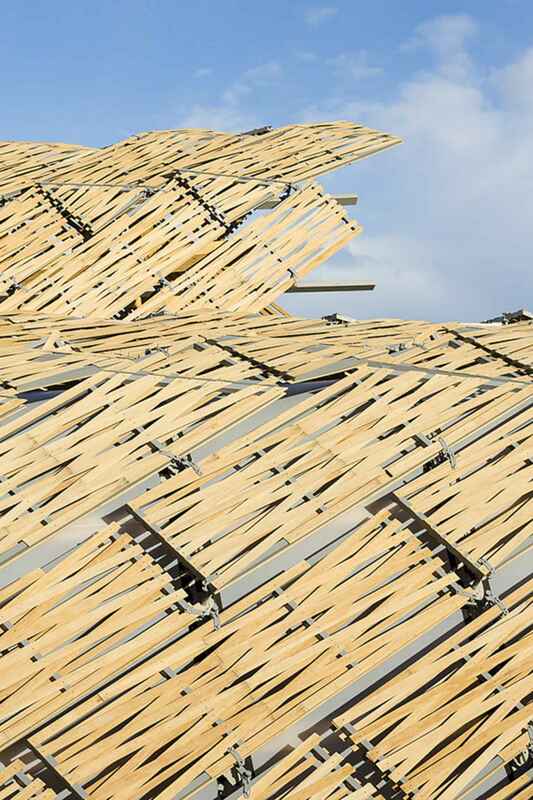 Conceived as a timber structure that references the "raised-beam: system found in traditional Chinese architecture." The roof also uses modern technology to create long spans appropriate to the building's public nature. Then, it is covered in shingled panels that reference traditional Chinese pottery roof construction.